Conspiracy Kush was created by crossing Obama Kush (Indica Afghani x OG Kush) and Space Queen (Cinderella 99 x Romulan), resulting in a variety with a high Indica share of 70%. The plants brought up from these seeds stay short to medium high and show only moderate stretching during the flowering phase, which pretty much means that you can cap the plants at the maximum height you want them to have at the end of their life cycle. Conspiracy Kush is suited for greenhouse, indoor and outdoor and cultivation and adapts well to both the ScrOG and SOG method. Being an Indica dominant variety she requires only 8-9 weeks of flowering to develop its heavy buds. The buds can become so thick, you might need to support the branches toward the end of the flowering period to avoid them breaking under the weight of the heavenly fruits. 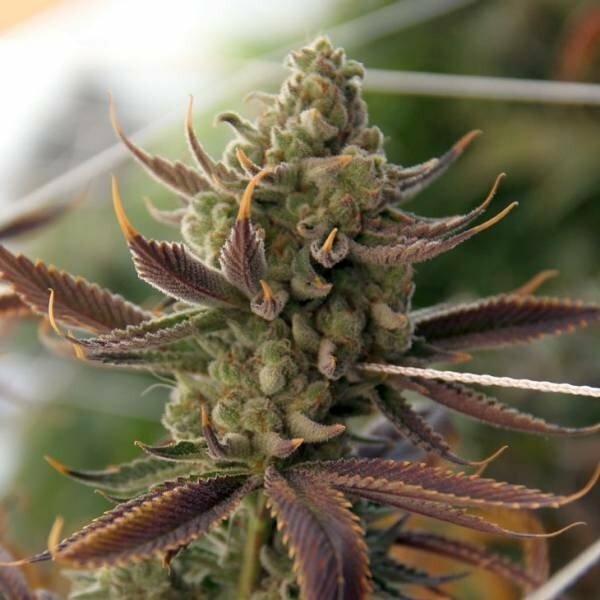 Conspiracy Kush comes in five main phenotypes of which all display variations of colors ranging from dark purple to lilac with extremely resinous buds that can show pink undertones. And not only the look is varying, the different aromas range from lemon and musk to fruit smoothie. The flavor of the smoked weed is a fruity mix with influences of all of Conspiracy Kush's ancestors; you'll feel lemon, musk, cherry drops and undertones of O.G. caressing your taste buds. Conspiracy Kush is a highly potent variety with a THC level of 22%. Smoking this weed goes straight to the head and triggers an almost instant feeling of euphoria that lasts for a long period of time before tapering off into a more relaxed effect, leaving you mellow and with a clear head, making it easier to find sleep.